I previously had a 3GB mailbox – and for the last 12 months spent more time deleting & shuffling emails to keep within this limit. We have now migrated our Exchange Systems to Microsoft Office 365, and now have the luxury of a 50GB Exchange Email inbox. Having all your email online is a joy – all our important documents flow through the email system. No matter where you are you can find what you need – by searching exchange from your smartphone, or a web browser – It’s a huge productivity boon. Some corporates though, are not prepared to put their email in the cloud, but are under pressure to provide large inbox’s for their users. How do you then handle a 500 User x 10GB per user Exchange Server – i.e. a 5 Terabyte Exchange system? Yes – You could use DAG Pairs/Triplets, and do so with delayed replication to the other DAG members. Air Gapped – that is off line, away from any form of online security breach of your systems and away from an online hacker joyfully deleting all of your email. Tape is the ideal medium here – Robust, Low Cost, High performance, and you can easily move Tape offline and away to another secure location. It now becomes essential to look at some form of Exchange management. 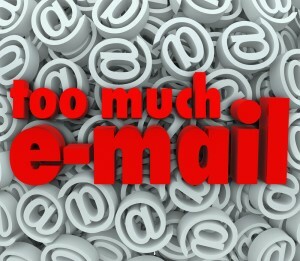 We all know that 95% of email rapidly drops to a low frequency of access. But we all know it needs to be online and instantly searchable. Here email ‘Active Archiving’ plays a key role. That will immediately reduce your Exchange size by 85% or so. In most case, you have likely shrunk our 5TB Exchange Database down to 400GB or so. And it is this 400GB component that will sit on your ‘faster Tier 1 SAN disk’ and be your daily target for backup and DR. The Archive component (which would be 4.5TB and larger) can be set to be archived to once per month, and that will sit on our slower disk, and be part of a once per month backup cycle. It’s critical to know -that Active Archiving means ALL this data is online. The user will still see their attachments, and when clicked and it’s still retrieved.